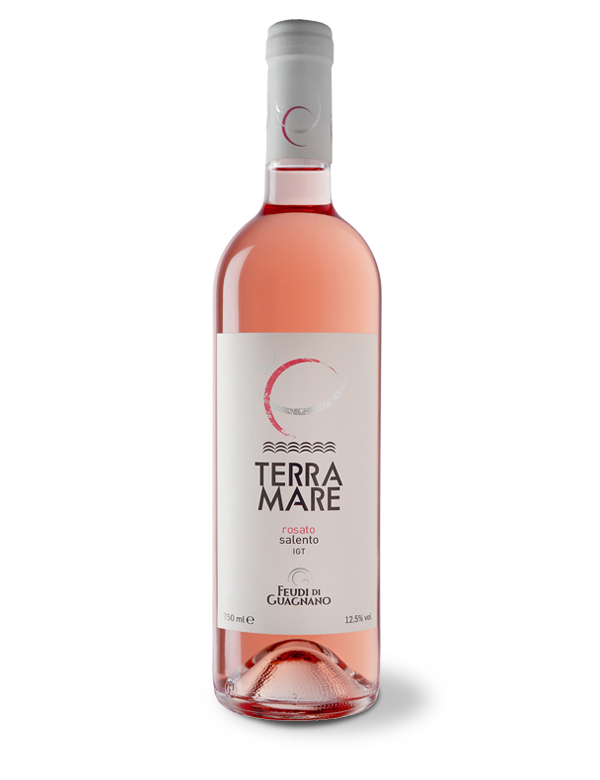 Bright coral pink, with a nose rich in red fruits and evident notes of Mediterranean scrub, salty nuances and balsamic returns that enrich the range and the olfactory freshness. Round entrance with a strong fresh – sapid personality. 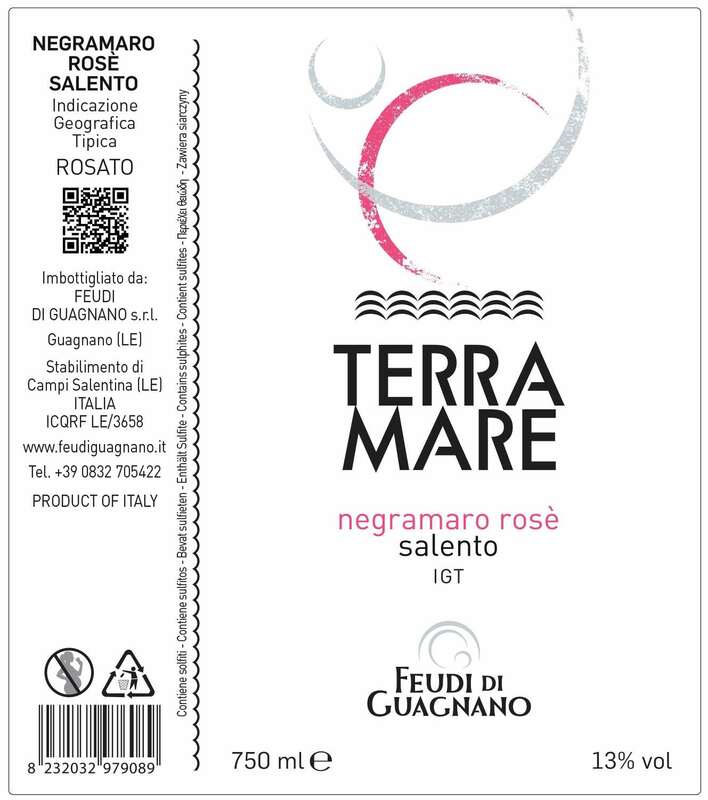 Salento is, at the same time, Terra e Mare. In fact, the ancient Greeks called the Salentini with the name of Messapi, that is people between two seas, the Ionian and the Adriatic. 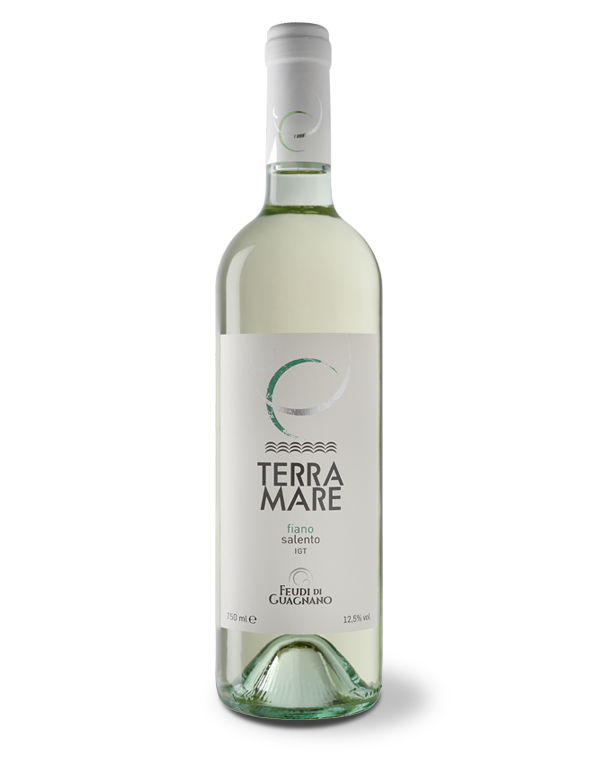 Terramare is produced in the North of Salento. The harvest is done manually the first fifteen days of September. 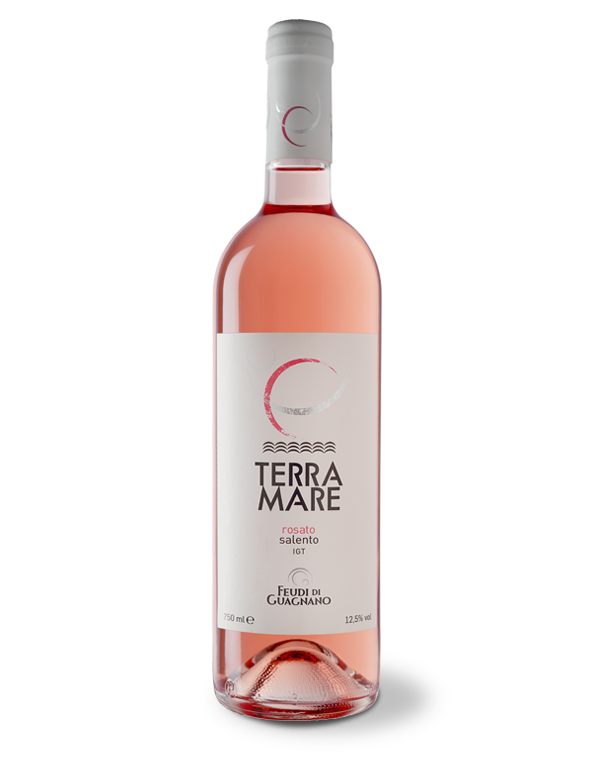 The must obtained by pressing the grapes remains in contact with the skins for 15-18 hours. It is kept at a controlled temperature in steel tanks. It keeps its freshness and flavor for at least two years.